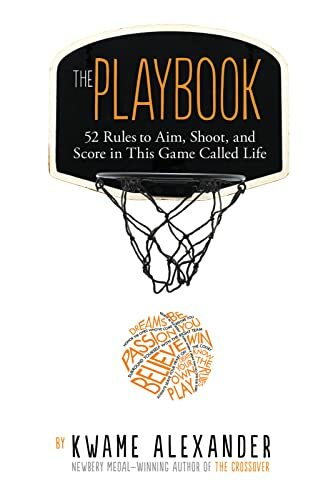 [PDF] The Playbook: 52 Rules to Aim, Shoot, and Score in This Game Called Life | Free eBooks Download - EBOOKEE! Description: You gotta know the rules to play the game. Ball is life. Take it to the hoop. Soar. What can we imagine for our lives? What if we were the star players, moving and grooving through the game of life? What if we had our own rules of the game to help us get what we want, what we aspire to, what will enrich our lives? Illustrated with photographs by Thai Neave, The Playbook is intended to provide inspiration on the court of life. Each rule contains wisdom from inspiring athletes and role models such as Nelson Mandela, Serena Williams, LeBron James, Carli Lloyd, Steph Curry and Michelle Obama. Kwame Alexander also provides his own poetic and uplifting words, as he shares stories of overcoming obstacles and winning games in this motivational and inspirational book just right for graduates of any age and anyone needing a little encouragement. No comments for "[PDF] The Playbook: 52 Rules to Aim, Shoot, and Score in This Game Called Life".